When Susie King Taylor was a slave, she was secretly taught to read and write. It made a difference to her life, the lives of others, and to American history. After being freed, she became a Civil War nurse. She taught soldiers to read and write. She wrote her memoirs. 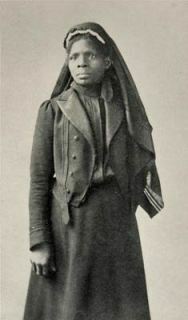 Her book is the only known published recollection of an African American nurse during the Civil War. Taylor’s is one of the little-known, but remarkable stories told in a new National Library of Medicine exhibition, Binding Wounds, Pushing Boundaries: African Americans in Civil War Medicine. “This exhibition opens the door to this rarely studied part of history and brings a voice to those who have remained silent for nearly 150 years,” says curator Jill L. Newmark in the NLM History of Medicine Division. Binding Wounds uses photographs and never-before-seen documents from the Civil War era to explore the lives and experiences of African American surgeons and nurses. There are several ways the public can experience and learn from Binding Wounds. There is a Binding Wounds special display in, and just outside, the History of Medicine Division reading room on the first floor of the National Library of Medicine (Building 38) on the National Institutes of Health campus in Bethesda, Md. The special display will be up through February 28, 2011. There is an online version of Binding Wounds. It includes instructional resources for teachers, including lesson plans. There are materials for K-12 educators as well as those in higher education institutions. A traveling version of Binding Wounds, with information presented on a series of banners, is touring the country. To find out where you can see the traveling exhibit, or how you can host it, go to the traveling information portion of the Binding Wounds Web site. The exhibition was produced by the NLM with research assistance from The Historical Society of Washington, DC.